We supply wildflower seeds in bulk. As follows is the list of some of the species we can supply. If there are any wildflower seeds you require not listed then contact us and we will check on availability and price. Please note these are offered subject to availability at time of ordering. All our wildflower seeds are produced in the UK and come originally from seed stock sources in the wild in the UK. You can buy in bulk frpm as low as 10 grams up to 1 kilo. Small daisy like flowers . Grows to about 40cm in height. Wild Flower Small Mauve flower heads. 1 gram approx 150 seeds. 1 gram approx 1750 seeds. 1 gram approx 1000 seeds. Wild flower seed in bulk. Bushy plant with a delicate musky perfume. 1 gram 2000 seeds approx. 1 gram 1000 seeds approx. 1 gram 800 seeds approx. Flat white flower heads many tiny flowers. Semi parasitic plant with yellow flowers. 1 gram 600 seeds approx. 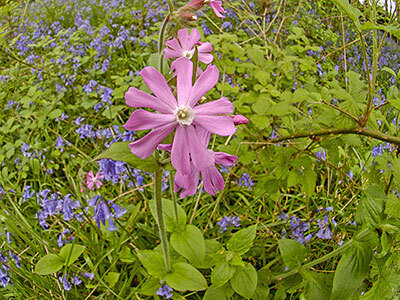 We have supplied Wildflower Seeds in bulk for a number of years. We make up all our own wildflower seed mixtures. Sourcing the wildflower seeds in bulk from the main wildflower farms in the UK. We follow and are signed up to the Flora Locale code of conduct which means you can be confident that the wildflower seeds you buy from us in bulk are from native UK British stocks.